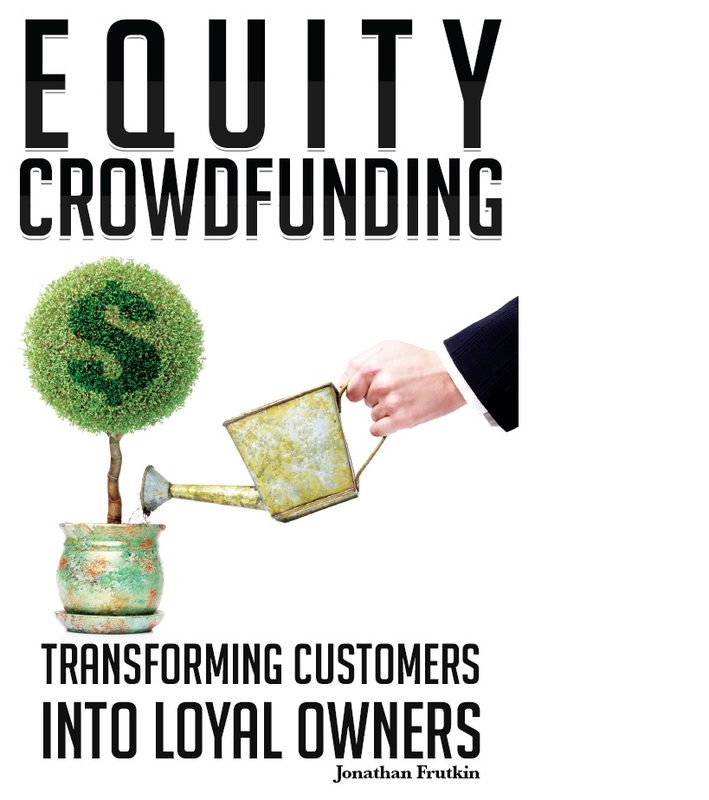 We are happy to announce the release of the audio book version of Equity Crowdfunding: Transforming Customers into Loyal Owners. Because of the SEC will soon adopt long-awaited crowdfunding rules, both Main Street businesses and start-up companies will be able to legally offer ownership in exchange for crowdfunded investments. Instead of being limited to sending mere gifts or product samples, the crowd will soon be able to receive financial dividends from their investment. The book’s author, Jonathan Frutkin, is CEO of Cricca Funding, a crowdfunding consultancy that works with profitable local companies to take advantage of this new marketing strategy. Frutkin is also an attorney at The Frutkin Law Firm, PLC, one of the fastest growing firms in Arizona. He has spent his career helping business leaders grow their companies by taking advantage of emerging opportunities. On October 1, we’re going to announce the opening of our first field office. It is located in Atlanta, Georgia. The reason for Atlanta is quite simple: Cricca is going to be working on implementing the strategies that we’ve written and spoken about for the past six months. As you know, we believe that the best opportunity for crowdfunding comes from local profitable consumer-facing businesses that see this as an opportunity to truly engage with their customers. While others think that crowdfunding is just about raising capital, we believe that it is about much more than that. Crowdfunding is the single most effective marketing strategy of all time.So why Atlanta? The answer is that two states have taken the lead on establishing intrastate crowdfunding exemptions – Kansas and Georgia. This means that you can already do intrastate crowdfunding in Georgia! In fact, you’ve been able to do it since late 2011. So why haven’t any successful campaigns happened yet? The answer is simply that there is not enough awareness about crowdfunding yet – and the wrong sort of companies have attempted to raise money. As you can imagine, the companies that have been most attracted to crowdfunding are startup companies, often with no actual product and usually with no customers. There is nascent equity crowdfunding infrastructure in Georgia. There are two great companies looking to establish themselves as the go-to crowdfunding portal in Georgia, SterlingFunder and Spark Market. We are excited about both the companies, and although we will only be partnering with one of them for our first pod of offerings, they both have great teams in place. The challenge with raising money from crowdfunding, occurs when there is no crowd. A crowd is really the most essential portion of a crowdfunding campaign. So, why do we think were different? Well, put simply, we only work with profitable companies -businesses that have already been established. We only work with companies like restaurants, car washes, dry cleaners, landscaping companies, clothing boutiques and other businesses that you use every single day. These local successful companies have a built-in advantage – established customer bases. These customers will now have an opportunity to invest and become owners. So if we are right, 2014 will see the emergence of some successful campaigns in Georgia. We look forward to being part of those campaigns. So if you are in Georgia, definitely drop us a line! We are interested and excited about learning about our new city. Our offices are located in Midtown Atlanta, and we are thrilled to be able to work with our Atlanta partners to cement Georgia as a leader in this exciting world of equity crowdfunding! Minecraft is an incredibly popular game with the younger set. And by younger, I mean kids under the age of 15. If you don’t have kids, you just need to know that basically, this game has taken over more than one family – mine included! The creative and building aspects of Minecraft allow players to build constructions out of textured cubes in a 3D procedurally generated world. Other activities in the game include exploration, gathering resources, crafting, and combat. Gameplay in its commercial release has two principal modes: survival, which requires players to acquire resources and maintain their health and hunger; and creative, where players have an unlimited supply of resources, the ability to fly, and no health or hunger. There is very little in common with most video games that adults are used to playing. Adult games are usually focused on points, passing levels, killing bad guys and defeating the game for the highest score possible. The graphic quality of Minecraft is very poor compared to adult games, and for years the creation of the game was simply the work of one man. However, the game obviously does have something that is very attractive to these millions of young people around the world. The game of Minecraft is much different: it is about building things and discovery. It is also about showing off the things that you’ve built and discovered to your friends. And that is the most important and notable difference that has driven the game into unprecedented popularity. Rather than share something simple like project merely built from a Lego set, the game allows users to build entire cities upward and to dig underground too – hence the name Minecraft. After these complex worlds are constructed, other players can visit, and sometimes construct more on top of the world. This is pretty amazing-what it basically means is that people are playing a collaborative game, with friends and other people online. In fact there are millions of people playing the game. There are very few adults who are interested at all in Minecraft. But some basic research reveals that millions of kids from around the world are actually playing the game obsessively. And that proves the point – collaborative building together, aka crowdsourcing, is a common activity for young people. Marketers need to understand that the world of on-line competition is slowly making way for the world of on-line collaboration. Setting a high score is no longer a brag – building a roller coaster in your virtual city can make you legendary. Kids get together, build shared worlds, and tell jokes that make no sense to their parents. The pioneer spirit that drove America’s growth is being replaced by a new spirit of cooperation and community, especially amongst our youngest people. Watch your kids and you know why forward-thinking marketers are turning to the crowd.